Meet the UM PDPI Faculty, Graduate Assistant, and Presenters! 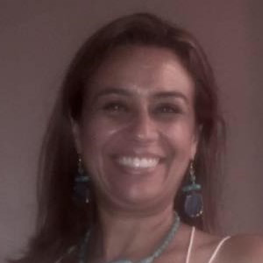 Dr. Luciana C. de Oliveira is the UM PDPI Director and will manage all aspects of the program. She is the Chair of and a Professor in the Department of Teaching and Learning (TAL) in the UM SEHD. She is President-Elect (2017-2018) of TESOL International Association and will become President in March 2018; she is also a past member of the TESOL Board of Directors (2013-2016). TESOL is the main international organization of English language teaching professionals worldwide, with over 12,000 members. Dr. de Oliveira is multilingual (Portuguese, English, Spanish) and has over 160 publications, including 21 books. She has over 22 years of teaching experience as an ESL/EFL expert. 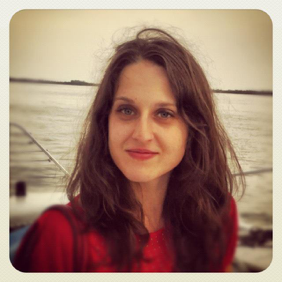 Her expertise is in English language development and teacher preparation for ESL/EFL. Dr. de Oliveira will direct the design and implementation of the project and oversee the management of timelines and the completion of required tasks. Dr. Ana Maria Menda is the UM PDPI Coordinator. She has a Ph.D. in Teaching and Learning with a focus on Special Education from the University of Miami and a Master's Degree with a focus in Bilingual/Bicultural Education from the University of Connecticut. She is Assistant Professor of Practice in the SEHD TAL Department at the University of Miami. Dr. Menda is interested in research with a focus in the intersectionality of bilingualism, special education and social justice, and has 17 plus years of hands-on teaching experience with students from the elementary to the doctorate level. She is trilingual in Portuguese, Spanish and English and is also a parent to a child in the Autism spectrum. Dr. Mary A. Avalos is a Research Associate Professor in the SEHD’s TAL Department. Dr. Avalos was a bilingual teacher in California for several years and has extensive experience leading professional development for ESL and bilingual teachers. 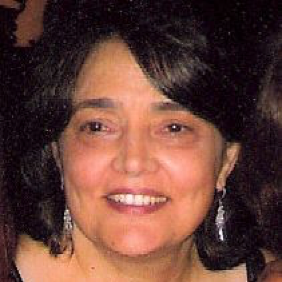 Dr. Avalos is bilingual (English/Spanish) and has extensive experience with resolving challenging school-based issues concerning operations and data collection for multiple funded projects, and has published her work on EL literacy learning and teacher PD. Dr. Avalos will teach specific PIPD sessions in the area of reading instruction. Dr. Ji Shen is an Associate Professor of STEM education in the SEHD TAL Department. He is currently Principal Investigator of two NSF-funded projects: Integrating STEM and Digital Literacies with Adolescents and Transformative Robotics Experience for Elementary Students. 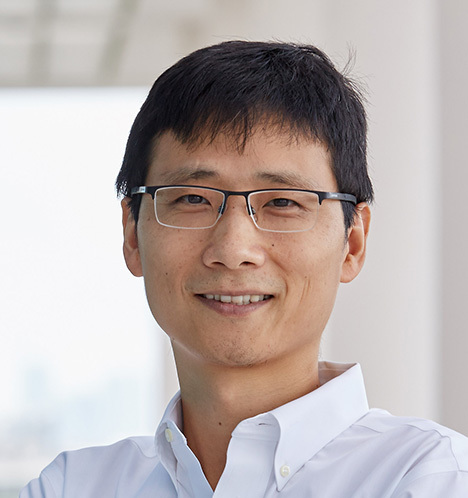 Dr. Shen’s scholarly work focuses on developing innovative, technology-enhanced learning environments, interdisciplinary and integrated STEM learning and assessment, and modeling-based teaching and learning. He was a post-doctoral researcher at the Technology-enhanced Learning Sciences center at UC, Berkeley. Dr. Shen holds a Ph.D. from Washington University in St. Louis. He will be responsible for delivering sessions related to multimodality, technology, and science fiction writing. 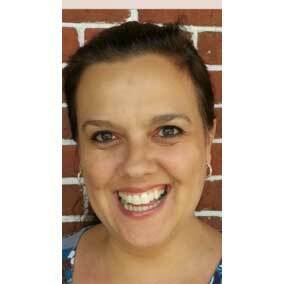 Dr. Sabrina Sembiante is an Assistant Professor of TESOL/Bilingual Education in the Curriculum, Culture, and Educational Inquiry Department at Florida Atlantic University and alumna of the UM SEHD Ph.D. program in Teaching and Learning. She has ten years’ experience researching and teaching in the TESOL/Bilingual Education area and is multilingual in Italian, French, and English with communicative skills in Spanish and Arabic. Her research focuses on the instructional and language practices that support emergent to advanced bilingual students’ developing bilingualism, biliteracy, and academic language development in school contexts. She will be responsible for the linguistic and grammatical knowledge program element. 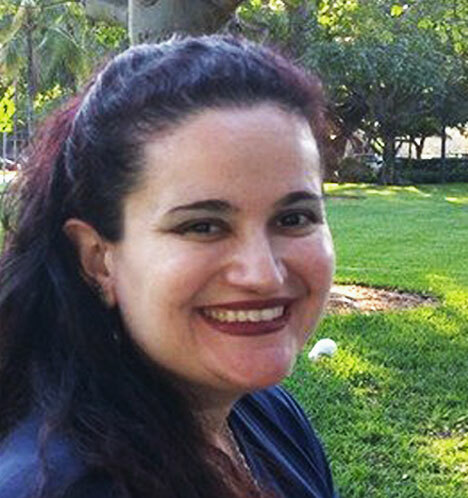 Cristiane R. Vicentini is a doctoral student specializing in literacy and language learning for ESL students in the Department of Teaching and Learning at the University of Miami. 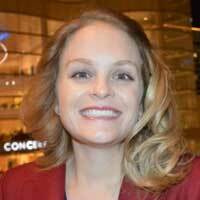 She holds master's degrees in TESOL and in Instructional Design and Technology. She has focused her career on English language instruction, teaching English language learners of various ages and diverse language backgrounds. Additionally, she is actively involved in the training and assessment of undergraduate students pursuing their K-12 education degrees. 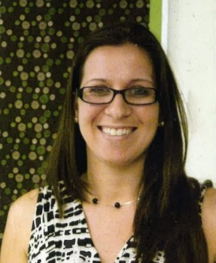 Ms. Vicentini’s research interests and publications comprise the use of technology as an aid in English language and literacy instruction in both face-to-face and distance learning environments. 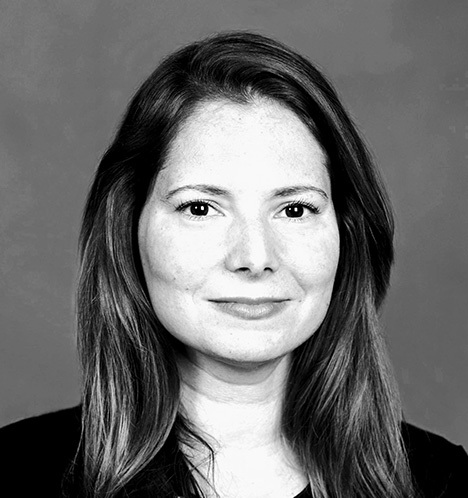 Dr. Maria de Castro is the Program Director of First Star University of Miami Academy and an Adjunct Instructor in the TAL Department. She has taught English, Reading, Journalism, English for Speakers of Other Languages (ESOL), and adult students for over 16 years in public schools in the Miami area. 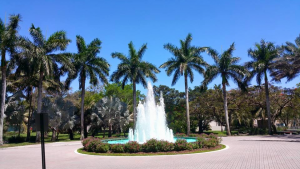 She recently completed her Ed.D in Education at Nova Southeastern University. The topic of her qualitative research project was the impact of American teacher preparation programs in the Dominican Republic. 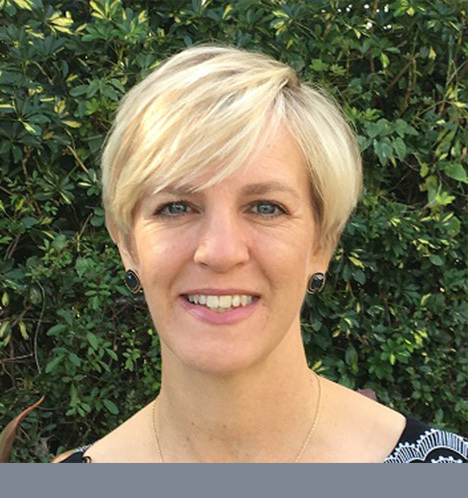 Sharon Smith is a doctoral student specializing in literacy and language learning in multilingual settings in the TAL Department. She was a Fulbright English Teaching Assistant in Colombia, where she worked with the Ministry of Education and taught English at universities in Bogota and Pasto. She has taught second and fourth grade at public elementary schools in the US, and is bilingual in Spanish and English. Her research interests are literacy learning, bilingual education, biliteracy, multicultural education, and multimodal literacy. Loren Jones is a doctoral candidate specializing in literacy and language learning for ESL students in the TAL Department at UM. She holds a Master’s degree in Education with a specialization in Foreign Language Education. She has seven years’ experience teaching Spanish at the secondary level in both traditional and online formats and is bilingual in English and Spanish. Her current research focuses on best practices for literacy and language instruction to support English language learners and bilingual learners in school contexts. 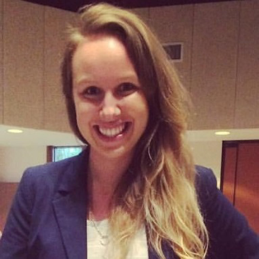 Lindsey A. Chapman is a Ph.D. candidate in Special Education in the TAL Department at UM. She holds a Master's degree in Exceptional Student Education and worked as both a classroom teacher and school-based Reading Coach in a public elementary school within Miami-Dade County for eight years. Lindsey's current research is related to teacher autonomy and curricular decision-making. She currently teaches undergraduate level courses at the university on classroom and behavior management. Interculturality is the recognition of and respect for differences and their understanding promotes a focus on English as a lingua franca, “a language for international communication used by speakers from all over the world, with different linguistic and cultural repertoires,” not connected to specific regions. Multiliteracies involve English language development through new possibilities to participate in meaning making that go beyond the verbal to incorporate verbal, visual, body language and gestures, and audiovisual resources. Orality: comprehension (listening) and production (speaking) include oral interaction in various discursive contexts that promote learning situations of spoken elements (e.g. pronunciation, intonation, and rhythm), comprehension strategies (global, specific and detailed), and negotiation strategies (clarification skills, confirmation, paraphrasing). Teaching resources include use of movies and TV shows for significant authentic input. Reading: Meaning-making in the context of different textual genres enables language learners to explore different purposes for reading (e.g. reading for general purposes, for specific purposes, comprehension of details etc). Teaching resources include pre-reading, during-reading, and post-reading activities. Writing: Written production involves two aspects: 1. Process and collaboration; 2. Social practice. Written production starts with shorter texts such as messages, posters and memos in which description is predominant lead to longer and more elaborate texts (short stories, news articles, opinion texts) in which narratives and arguments are expected. Linguistic and grammatical knowledge: Use, analytical, and reflective practices about the English language occur in the context of orality, reading, and writing. Vocabulary and grammar activities, involving forms and verb tenses, phrasal structures, and discursive connectors, among others, focus on inductive ways of developing systemic-functional linguistic knowledge of the English language. Instead of a focus on what is right or wrong, these activities promote reflections on appropriateness and intelligibility as well as comparisons and contrasts between English and Portuguese. Intercultural Dimension: Cultures, especially in this digital age, are in a continuous process of interaction and (re)construction. Different groups of people, with different interests and diverse linguistic and cultural repertoires, experience open and plural identities. Learning English, then, implies problematizing the roles of the English language itself in the world, its values and peoples, in contemporary society as well as from a historical perspective. Though these elements are presented in the BNCC as separate, they are in fact interconnected in social practices of English language use and should be taught in such a way in school contexts. 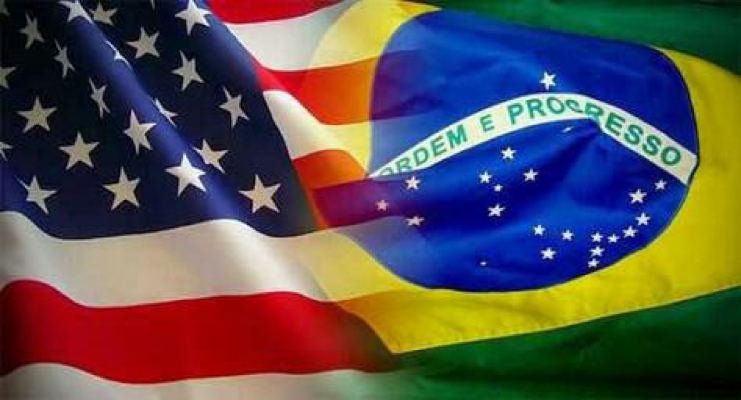 It is language in use, always hybrid and multimodal, that leads to the teaching of its specific characteristics, and none of the elements should be treated as a pre-requisite, and especially not the linguistic and grammatical knowledge (Brasil, 2017a). Drawing on research on effective professional development (PD) in education, we planned a continuous and on-going program with a long-term focus, providing multiple opportunities for teachers to collaborate and contribute to the professional learning curriculum/design and (Darling-Hammond, Hyler, & Gardner, 2017; Gulamhussein, 2013). Gulamhussein, A. (2013). The core of professional development. American School Board Journal, 200(7), 36-37.